Introducing new color variations for the Gravity Defier lineup of aviation concept watches designed to defy high G forces. 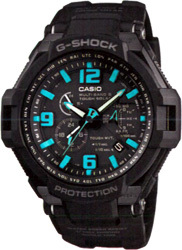 Choose either the GW-3500 or GW-4000 (TRIPLE G RESIST), both in basic black with sky blue highlights. 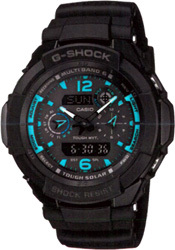 Tough Solar ensures stable operation even when using power-hungry functions.